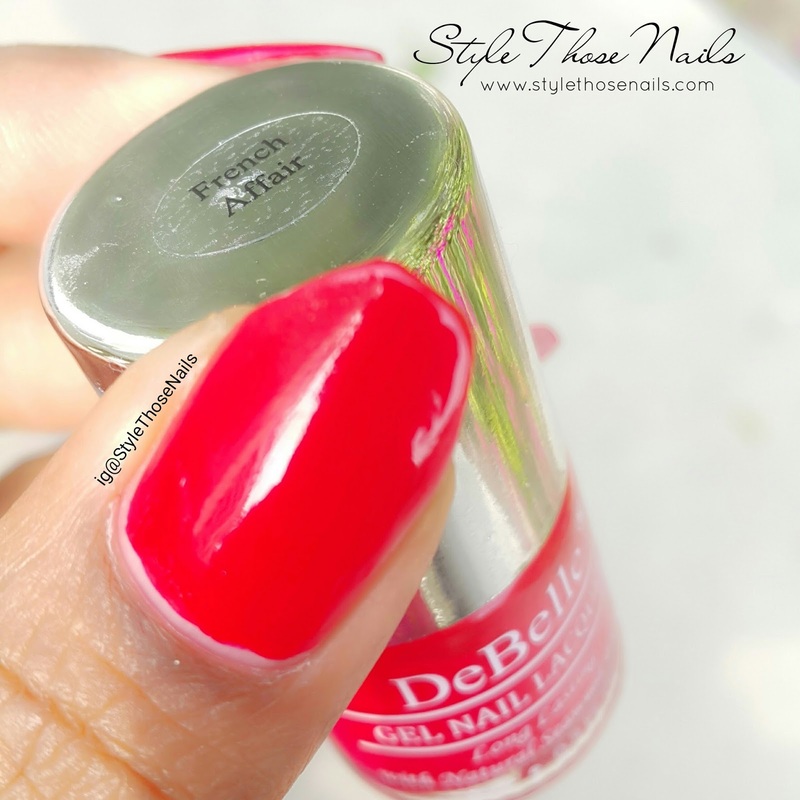 Today I am sharing a swatch post of DeBelle French Affair Nail Lacquer. 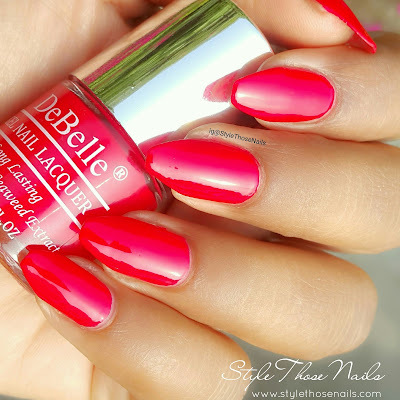 I got this gorgeous Red nail lacquer for review by AGS Inc which has come up with brand "DeBelle" in India. They mainly deal in personal care products and have come up with this amazing polish line which has natural ingredients in it. Keep reading for more details and my thought on this polish. I was sent a bottle of this vibrant red polish called French Affair for my honest feedback. 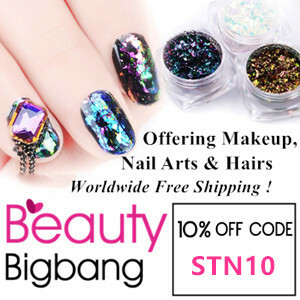 This polish claims to give gel finish and promote nail growth as it has seaweed extract in it. Overview: This polish comes in 8ml bottle with Rs.295 printed on downside. It has round shape and silver cap. Brush is wide enough to cover your nails in 2 to 3 strokes. I did find difficulty in holding the cap as it's wide in diameter and brush seems shorter but it was manageable.The bottle says Gel Nail Lacquer which can be confusing as one can think it will require UV/LEDlamp to cure but it doesn't require any. I think they should write "Gel finish Nail Lacquer" rather than Gel Nail Lacquer"
The colour pay off is amazing. It is totally opaque in one coat and two coats just made it superb. It dries fast and has smooth finish. 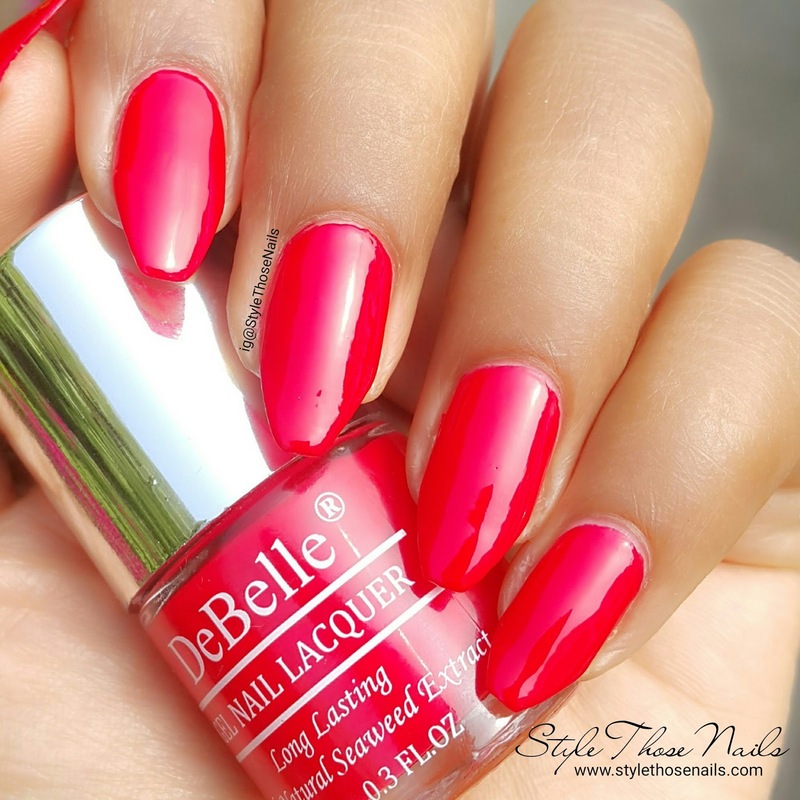 This colour is very vibrant almost neon red and is very eye catching. It stayed well for three days without any chip (I changed my polish after 3 days :). There was no visible staining on nails which is great. Nothing to mention except minor packaging changes needed. 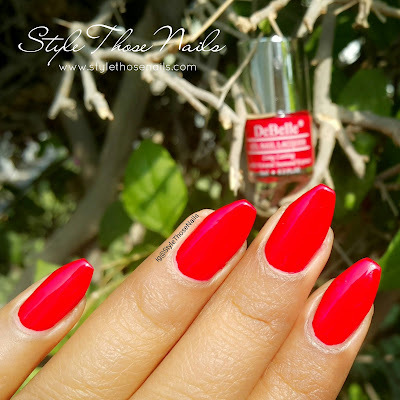 StyleThoseNails- 2016 Nailart at a Glance !